In 1935, Alvar Aalto created the 63 dining chair using the bent-leg technology he patented from his stacking stools. Sturdy birch legs paired with a fully upholstered seat and back of your choice, Chair 63 is a multi-functional and multi-purpose masterpiece. 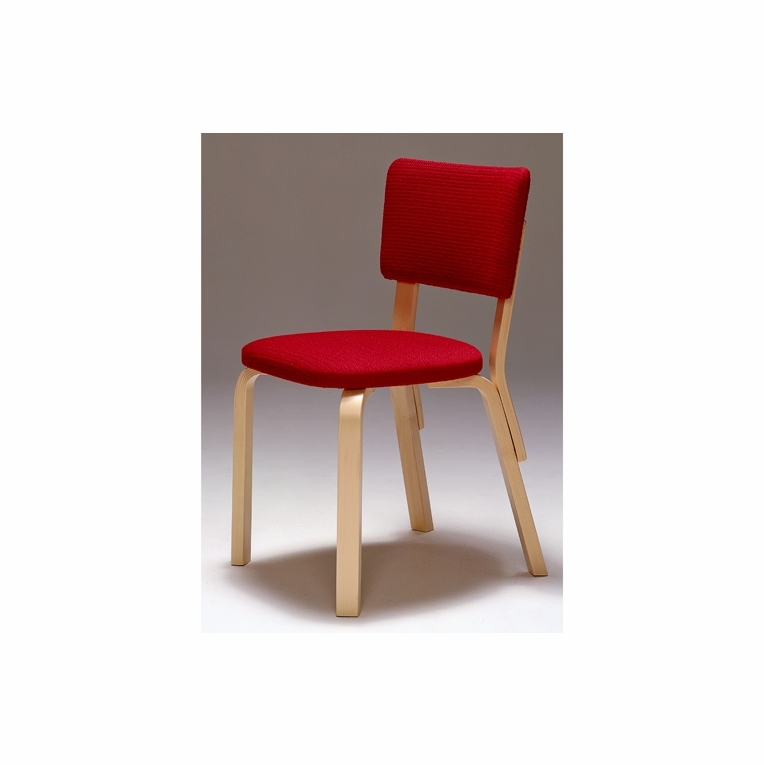 Made in Finland by Artek and available in various upholstery options. Ships assembled.Please review our Shipping Information page before ordering. Payment: 50% will be charged at time of order, remainder will be charged at time of shipment. Lead Time: Allow 12 weeks for delivery time.